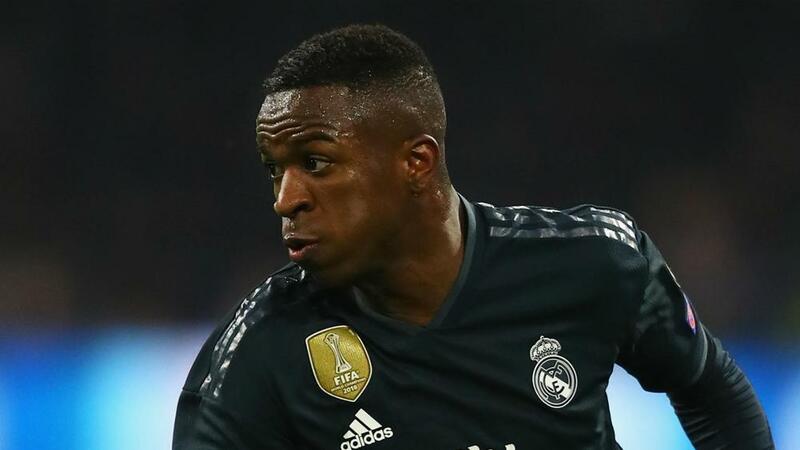 Santiago Solari described himself as "delighted" with the progress Vinicius Junior is making at Real Madrid but stressed the credit for his development must be shared among his team-mates. Brazilian forward Vinicius has scored two goals in 12 LaLiga appearances this season and his performances in all competitions have helped to justify the club's €45million investment in him. The 18-year-old played 81 minutes of Madrid's 2-1 first-leg win over Ajax in the Champions League last 16 and Solari was full of praise for the way he has established himself at Santiago Bernabeu. "He's very young and you can see in the last few months his improvement," Solari told reporters. "We're delighted with his progress. He's getting lots of help not just in matches, but in training too. "Lots of credit must go to Vinicius but also to his team-mates for the advice they're passing on, helping him to improve his game." Marco Asensio came off the bench to score Madrid's winner at Johan Cruijff Arena after recovering from a thigh muscle injury and his return to form and fitness could present Solari with a selection dilemma. Los Blancos lined up with Gareth Bale, Karim Benzema and Vinicius in attack against Ajax, but Solari indicated he would have few problems finding room for left-sided playmaker Asensio in his side to face Girona in LaLiga on Sunday. "Marco can play anywhere across the front three, even as an attacking midfielder," said Solari. "He is talented and came back from injury strongly. Hopefully he continues to work in same vein. "He came on and scored a decisive goal - an important goal for him and for the team. We're happy with the way he has returned from injury." Previous Valverde: Barcelona scared? We're top of LaLiga!